Photo credit: Krista, CC BY 2.0. This piece was originally published on April 9, 2013. View old comments on the Wayback Machine. 1. You can dress nice for that big dance by buying swanky clothes and then just returning them when the dance is over. Ditto patio furniture and a cookout. 2. Why spend money on lunch? Costco has copious free samples. So does Whole Foods, and they don’t even have anyone manning them. Make a couple rounds of the store for a nutritionally balanced meal. 3. McDonald’s has an essentially infinite supply of free salt, pepper and ketchup. 4. Most movie theaters give a discount to people over 60, and most movie theaters don’t check your ID to confirm your age. You look like you could be 60, anyway. 5. 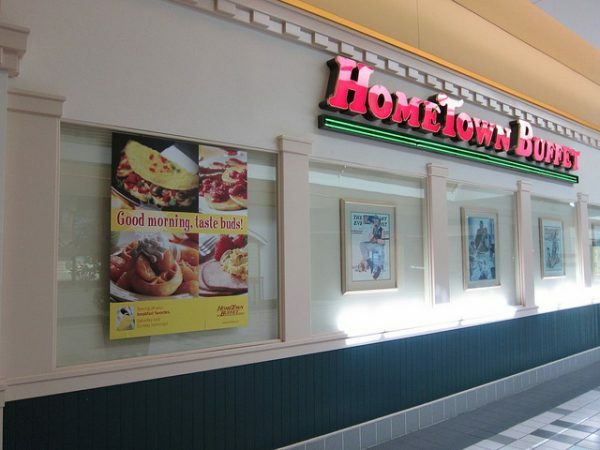 HomeTown Buffet switches from breakfast to lunch at 11. Get there at about 10:45. Let your food digest until you’re hungry for lunch. That’s two meals for the price of one! 6. Need new reading glasses? Go to a CVS, grab a pair from off the rack to read an ibuprofen label and then just slide them up your head. Continue shopping. If you “forgot” you were wearing them by the time you walk out, it doesn’t count as stealing. 7. Waiters and waitresses are a renewable pen resource. 8. Instead of giving out candy at Halloween, why not just things you have around the house? An old box of raisins, or maybe some peppermints. Heck, you haven’t even eaten some of those Cadbury Cream eggs — perfect! 9. Complain, complain, complain. Is there something wrong with your hotel room? Was the concierge rude to you? Can anyone prove he wasn’t? With enough persistence, anything can be dissatisfactory enough to warrant a refund. Matt Crowley is a comic, writer and director living in Brooklyn. His mother taught him everything he knows. You can follow him on Twitter here.